A young scientist by the name of Frankenstein breathes life into a gruesome body. Banished into an indifferent world, Frankenstein's creature desperately seeks out his true identity, but the agony of rejection and a broken promise push him into darkness. Dangerous and vengeful, the creature threatens to obliterate Frankenstein and everyone he loves, in a ferocious and bloodthirsty hunt for his maker. 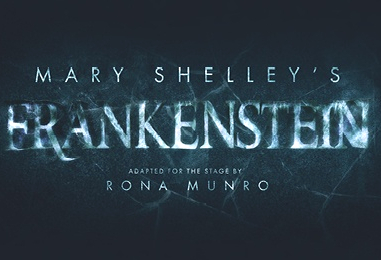 Rona Munro's new adaptation of Mary Shelley's Gothic masterpiece places the writer herself amongst the action as she wrestles with her creation and with the stark realities facing revolutionary young women, then and now. "This story has been told and retold in hundreds of different versions since it was first written. "But it remains the dark and rebellious roar of its adolescent author. Mary Shelley was only eighteen when she wrote the novel and she"d already broken every social rule that should have shaped her life. "That's the version of Frankenstein I've returned to, the version of the novel. "The story is told in the voice of that defiant and passionate young girl accusing her elders, the culture of her age and intent on terrifying the whole world." Mary Shelley's Frankenstein heads to Theatre Royal Brighton from Monday 14th – Saturday 19th October 2019. CLICK HERE for dates, times & tickets.